The committee convenes in early spring to review and revise the content in the Student Progression, Promotion, and Grading (SPP&G) Handbooks each year. The committee breaks into four subcommittees—one for Elementary, Middle, and High and one overarching committee to address issues that transcend all grade levels. Revisions are brought to the board members for their review and consideration in May or June to be implemented for the next school year. Each subcommittee will meet on the previously arranged dates for SPP&G Work. The School Calendar Committee meets to set the school year calendar to be presented for approval to the Jefferson County Board of Education (JCBE). Members consist of Central Office, assistant superintendents, teachers, counselors, union representatives, and parents from board member districts. Members change from year to year. The committee members usually meet two or three times, and then their recommendation is presented to the board for first reading and approval. 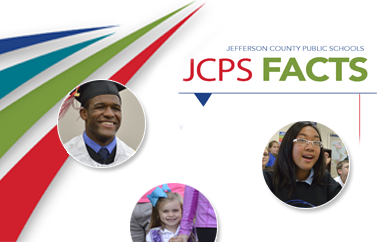 Use this link to the JCPS Calendar of Events to find meeting dates and times. Louisville Linked is an initiative building on existing partnerships between JCPS and community-based service providers to link each child and family with structures and services to support their well-being and to nurture the development of personal resiliency. Members include Central Office staff, community members, JCPS department representatives, and Jefferson County Teachers Association (JCTA) representatives. JCPS is continuing to promote equal opportunities. As a result, the LGBTQ Advisory Committee was formed to provide perspective to JCPS related to LGBTQ matters that have an impact on students, parents, faculty, staff, and other constituents. To accomplish this work, the Advisory Committee is made up of five subcommittees: Policy, Student Supports, Stakeholder Supports, Training, and Outreach. The Educator Quality Oversight Committee (EQOC) is a JCBE-approved, collaborative (half teachers/half administrators) committee that serves as the district's statutorily required 50/50 evaluation committee and that is tasked with overseeing the development and implementation of a JCPS Educator Growth System (EGS) to support and grow educators from recruitment to retirement throughout their JCPS career. The EGS includes our formative and summative evaluation of certified education professionals, the JCPS tailored implementation of the Kentucky Department of Education (KDE) Professional Growth and Effectiveness System (PGES), and the development and revision of the annual JCPS Certified Evaluation Plan (CEP). Oversight also extends equally to other parts of the JCPS EGS, which include such areas as recruiting/hiring, induction/mentoring/early support/retention, professional growth planning, Professional Learning Communities (PLCs), curriculum/instruction/assessment supports, and PD (and possibly peer assistance and review) to ensure that each area improves and coordinates with the other areas to support and grow educators in accordance with effective practices, the JCPS Strategic Plan, JCBE priorities and agreements, and state/federal guidelines. The ten members of EQOC include five teachers and five administrators appointed by the JCPS superintendent and the JCTA president, who also serve on the EGS Advisory Team. EQOC only makes decisions by consensus, requires a quorum (at least 8/10 present or via email), and uses collegial and confidential operating norms. When a quorum is not present, meetings become work sessions on products that are approved by consensus when a quorum is present (or via email if needed to meet deadlines). Transitioning several new people on and off the committee during the 2015-16 year made it challenging to reach our high quorum threshold and thus affected our ability to create official, consensus-approved meeting minutes. However, our work products all represent consensus decisions and serve as evidence of our meeting (and in-between meeting) decisions and work (e.g., the JCPS CEP, various guidance documents and communications for PGES implementation, and via JCBE Work Sessions). EQOC generally meets at least monthly but more often as needed. The Local Planning Committee develops a local District Facilities Plan once every four years in accordance with the schedule set by the Commissioner of Education. The Kentucky Board of Education shall approve the District Facilities Plan submitted by the district upon the recommendation of the Commissioner of Education. The JCPS Calendar of Events lists meeting dates and times. This committee will provide advice and input about the district’s student assignment plan. The district conducts a review of the student assignment plan every five to seven years, making changes to the plan as necessary to meet the needs of the community and prepare students for success. The first meeting will be Thursday, October 26, from 5 to 6:30 p.m. in the Stewart Auditorium of the VanHoose Education Center, located at 3332 Newburg Road. The committee will meet monthly. The committee may form subgroups as they proceed with this important work. The committee is made up of staff from Central Office, assistant superintendents, teachers, principals, JCPS department representatives, JCTA union representatives, community members, and parents from board member districts who have a vested interest in ensuring that the district plan is consistent with the vision, mission, and core values of the JCBE. A list of committee members can be found here.